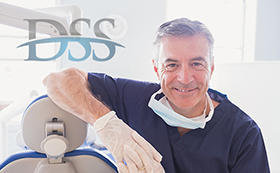 Dental Support Systems is uniquely qualified to assess your existing dental practice and quickly formulate a fair appraisal. Our decades of experience in North Texas dental practice sales gives us an edge over our competition. We have an innate understanding of local markets and population growth trends that can significantly affect the value of your practice. We would love the opportunity to appraise your dental practice. Simply use the short form below and one of our team members will be in touch with you shortly to gather more information required to complete your FREE, no-obligation dental practice appraisal.